Germany, the leading economy in Europe, has been without a government since last September. Although the conservatives under Chancellor Angela Merkel remain the largest party, they cannot create a government without finding partners to form a coalition. Months have passed, where various aggregations and political comprises have failed, which was raising the specter of either a minority government or new legislative elections. Germany has been in danger of joining the group of European nations, with relatively weak or minority governments like Italy, Spain and the United Kingdom. Chancellor Merkel who would like to begin her fourth term in office, first attempted a coalition with the pro-business Free Democrats, which was a likely choice. Still short of an absolute majority under these circumstances, an accommodation with the environmental friendly Greens, would have become necessary as well. After painstaking weeks of negotiations, the talks between the conservative Christian Democrats (CDU) and their sister party in Bavaria, the Christian Social Union (CSU), were unable to achieve a compromise with the Free Democrats and the Greens. Frank-Walter Steinmeier the President of Germany. 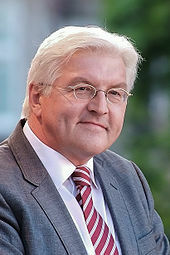 Germany’s president Frank Walter Steinmeier, then pushed for a recreation of the previous coalition, that had existed before, the September elections. This would necessitate a new political alliance, with the now reluctant Social Democrats (SPD). The SPD had originally ruled out another political coalition, with the conservative CDU/CSU, after the disastrous September election results. They had instead resigned themselves, to be part of the opposition. After careful and difficult negotiations, an agreement between the political parties was finally reached in early February. All that remains now, is for 460,000 rank and file membership of the SPD, to agree to the terms of the deal struck. Results should be known by the 4th of March. Another election will be difficult, in that voters at large are unsatisfied, with another Grand Coalition, between the center-right and the center-left. In fact, polls now suggest in a new election, both the conservatives and the social democrats, might well lose even more seats in the legislature. Social Democratic Party of Germany logo. There remains a strong possibility, that even together, they would now be unable to achieve a working majority, coming in with just 46% of popular support in the latest polls. An outside observer might ask, how can voters be so disgruntled with a political arrangement, that has for years provided good financial management and economic prosperity? 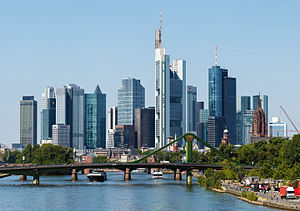 Germany as stated previously, has the largest economy in Europe and ranks fourth globally. Gross Domestic Product (GDP) stands at near $3.6 trillion USD (United States Dollar). The German economy grew by 1.9% in 2016 and 2.2% in 2017. Growth was faster last year, than it has been since 2011. The world’s largest coherent chemistry plant BASF in Ludwigshafen, Germany. Unemployment is now at a record low, since reunification in 1990. The jobless rate fell from 6.1% to 5.7% in 2017. December’s unemployment rate was just 5.5%. Workers are also witnessing a rise in real wages, further magnified by near record low inflation. What is surprising is that Germany, unlike all other major industrial powers, is actually now running a budget surplus. The federal deficit has been at zero, for an amazing four consecutive years. If this situation continues, the Germans can begin to reverse the rising national debt, that almost all economically advanced countries are plagued with. German public debt is now at $2.497 trillion USD. Debt as a percentage of GDP, has fallen below 70% and is now listed as 69.38%. It is important to note that other leading industrial powers, have rates of sovereign debt far higher. France is saddled with a GDP to debt ratio, of over 97%. Greece has debt in excess of 180%, Italy is at 136.81%, Spain is at 105.36% and the United Kingdom comes in with 85.72%. Outside of Europe, the United States has a GDP to debt ratio of 108.14% and Japan, is just over a whopping 240%. By comparison, the German government seems far more responsible, in the management of public debt. Analysts have repeatedly warned, about the serious financial dangers, when total debt surpasses GDP. It is a sage advice, that is taken rather seriously in Germany. The massive trade surpluses, Germany continues to rack up year after year, are also politically popular inside the country. Although the surplus has notched down from a record high in 2016 of $305.4 billion USD to $300.5 billion in 2017, it was largely due to a surge in imports, not a decline in exports. Germany remains the third largest exporter in the world. It was the first small dip in the trade surplus, since the Great Recession of 2009. Only China has a larger trade surplus than Germany, at $422.5 billion USD. However, Germany has a population of less than 84 million, where China boasts a total of over 1.4 billion inhabitants. By opening Germany’s borders to refugees fleeing Middle East, many critics have blamed Merkel for encouraging the mass migration into Europe. The root for much of the present popular discontent, comes largely down to a single issue. That is unfettered and for a couple of years, seemingly out of control immigration. 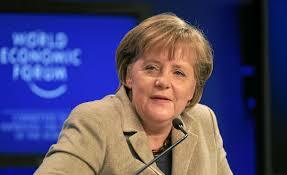 Chancellor Merkel conducted an emotional response, towards an inevitable social and political issue. Her decision to allow the migration of over 1 million refugees from the Middle East and Africa, has created a backlash, not only within her own party, but across the political spectrum. Her determination to maintain open borders in 2015 and 2016, allowed a huge number of unskilled and hard to assimilate migrants, to come to Germany. Although many of them were indeed fleeing war in their home countries, a large proportion were also coming to escape poverty. By 2016, the number of people with an immigrant background in Germany, had risen 8.5% to a record 18.6 million. This translates to 22.5% of the population. Around 2.3 million in Germany now have family ties to the Middle East, an increase of 51%, since 2011. Near 740,000 have links to Africa, a gain of 46%, also since 2011. Although the original judgment in allowing this mass migration was deemed to have hurt her conservative party in popular support, there was a belief that this phenomena had been largely reversed, ahead of the September elections. The political reality was quite different. The boost that the anti-immigrant party Alternative for Germany or AfD, had received at the height of the migrant crisis, was prolonged through the September elections. AfD has now entered the German legislature. One recent poll even has the party just two points away from the SPD in popular support, which itself has dropped to just 16.5%. Mrs. Merkel twice before entered into a Grand Coalition with the SPD. These previous cooperative governments lasted from 2005 to 2009 and then again from 2013 to 2017. The agreed upon framework in the new coalition, offers Germans continuity, rather than any real change. Knowing Merkel was running out of political options, SPD leaders could now afford to maximize their advantage. As a result, large portions of post reunification Germany’s carefully crafted record budget surplus, the equivalent of $55 billion USD, is now to be spent on various social causes. These include child benefits and pensions, but there is also money being allocated for infrastructure and even modest tax cuts. In addition, the SPD was able to gain restrictions on short-term work contracts and a coming review, to investigate disparities between private and public health insurance. Mrs Merkel was able to secure for stalwarts in her own party a rather large, but still a definite cap, on the number of refugees that can be admitted to Germany. At 180,000 to 220,000 annually, it likewise provides further ammunition to the AfD. The deal also does limit family reunification numbers to just 1,000 a month, plus what are known as hardship cases. Once again, it is being viewed by many voters, as a way to continue higher levels of migration, than what much of the public actually supports. 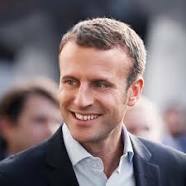 In order to win over younger SPD supporters, the deal brokered includes a pledge of closer cooperation with the new French President Macron, on issues of defense and migration. There is a provision for increased contributions to the European Union (EU) budget and more political power to be given to the European Parliament. There is also a rather vague promise in transforming the European Stability Mechanism, that had been set up in 2012, to deal with the sovereign debt problem, to an actual European Monetary Fund. This provision has been opposed by German conservatives for years, due to the fact that it may well lead to an actual European banking union. The second overture to restive members of the SPD, was to offer an additional cabinet post. Not only will the socialists retain the labor and foreign ministries, but they have now been given the crucial and powerful finance ministry. This will be important, if the SPD is to have greater influence over EU policy initiatives. In order to ease fears with their conservative partner the CSU, the interior ministry has also been sacrificed by the CDU, to their Bavarian allies. Given these circumstances,one can easily understand, why many members of the CDU wonder about the actual benefits,in being the largest political party in the Germany. A number of leading conservatives around the country, have referred to the coalition agreement, as one of the worst negotiated settlements, ever created by an election winner. 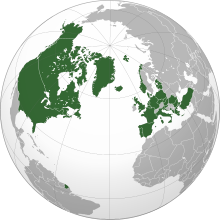 Member states of NATO shaded in green. The demand by some members of the CDU, that Germany meets it Western military commitment to NATO (North Atlantic Treat Organization) by raising defense spending to 2% of GDP,was not included as part of the final negotiations. 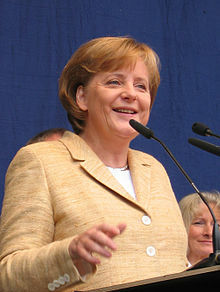 Angela Merkel has been Chancellor (Prime Minister) since 2005, and has now won a fourth term, if she is able to create a new government with the SPD. She will soon be the longest server leader of Germany,in post war history, with the exception of her former mentor and colleague Helmut Kohl. Kohl had been chairman of the CDU from 1973 to 1998 and was in power as Chancellor, for a total of 16 years from 1982 to 1998. His skillful diplomacy in bringing about German reunification and the resulting afterglow, allowed him to remain in office, longer than many contemporaries would have expected. Merkel is likely to be the last conservative Chancellor, that will be able to ignore the AfD or the main reason why, the party has gained far greater acceptance, among the electorate. A great deal of the party’s present electoral strength, has come from bleeding voters away from both the CDU and the CSU. The Chancellor has made what she herself refers to as painful concessions, in order to create a new government. These were necessary of course,if she is to serve a 4th term as Germany’s Prime Minister. Although she insists criticism of the negotiated deal, with the SPD by members of her own party, are not a sign of her waning authority, open talks of an eventual successor prove otherwise. She is doing what she had pledged she would not do, years before when she distanced herself from former Chancellor Kohl. She is now clinging to power, even as her political effectiveness, is beginning to wane. 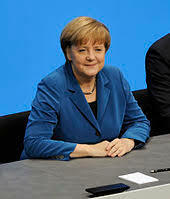 Angela Merkel at the signing of the coalition agreement for the 18th election period of the Bundestag, December 2013. Her list of critics are growing. The Mittelstand (medium size exporters) bloc of voters inside the CDU and the CSU, form the backbone of the conservative parties and of the German economy. 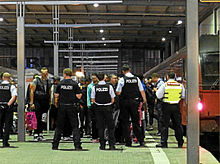 They have become increasingly vocal,in their disapproval of Merkel’s policies. They have been vehement in their opposition to both the ongoing bailout of Greece and the still simmering migrant crisis. Martin Schulz the leader of the SPD,has already stated that he will step aside, so the party could begin the long painful process of self reflection and rejuvenation. He understood, that he has become out of touch, with an increasing share of the party base. However, his endorsement of parliamentary floor leader Andrea Nahles as his successor, still did not sit well with many younger members of the party. Since minority governments are not part of the German political tradition and Merkel is not in favor of one, it was no surprise, that she has indicated that if the SPD membership rejects the terms of the coalition,new elections are now increasingly likely. Although, one might expect there would now be an attempt within the party leadership of the CDU to possibly force Merkel aside,or at least announce a transition period, that remains unlikely. There is no obvious successor and many of the probable candidates, are of the same age cohort and would garner even less popular political support. Merkel still maintains strong support, among conservative women and senior citizens. These are an important voting bloc, not only in the CDU itself, but throughout the country. Her steadfast and calm demeanor, still reassures many German voters, in an increasingly uncertain international environment. Her international influence and prestige remain high, not just in Europe, but around the world. This will convince many otherwise wavering voters, that it is probably for the best, to allow Merkel to remain at her post for now. The German political system is undergoing a dramatic transformation. In the past, the main parties dominated the scene and alternatively held power, in coalition with either the Free Democrats or later the Greens. The rise of the AfD and a number of other minor parties, is now ending that stability. German unity was established on October 3 1990. Since 1999, the Reichstag building in Berlin has been the meeting place of the Bundestag, the German parliament. Germany is now entering a post reunification era. It is no mere coincidence, that the wall that had divided the country from 1961 to 1989, has now been down longer than it stood. The events and individuals that were a product from that generation, are already beginning to pass from this date of reference. The nation will look increasingly to new leaders, to deal with the challenges that Germans will face in the 21st century. It will be for future governments to decide, whether Germany should maintain its present sovereignty, or move ever closer to a more united European Union. These new leaders will undoubtedly need to find different solutions, to deal with the growing list of issues the country now faces.